Actor John Stamos attends the Disney Media Distribution International Upfronts at Walt Disney Studios on May 17, 2015 in Burbank, California. Actor John Stamos was arrested Friday for allegedly driving under the influence in Beverly Hills, police said. The Beverly Hills Police Department received numerous calls around 7:45 p.m. reporting a reckless driver in the area of Canon Drive and South Santa Monica Boulevard, according to a police news release. Officers pulled the driver over at Beverly Drive and South Santa Monica Boulevard. The “Full House” star, who identified himself as John Stamos, was the sole occupant in the vehicle. Police say Stamos was taken to a local area hospital by the Beverly Hills Fire Department for observation because of a possible medical condition. There police say it was determined he had been driving under influence, and Stamos was placed under arrest. 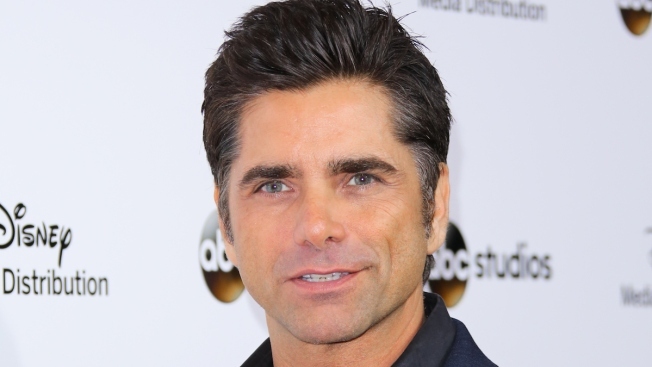 Stamos tweeted Saturday that he was well and thanked police and Cedars-Sinai Medical Center for taking care of him. A message to his publicist for comment was not immediately returned. Stamos was issued a citation for driving under the influence and released to the care of the hospital. The actor is due to appear at the Airport Courthouse near Los Angeles International Airport on Sept. 11. Stamos is known for his work in TV, including starring roles as Jesse Katsopolis on the ABC sitcom "Full House." Stamos had a starring role on the NBC drama "ER" as Dr. Tony Gates from 2006 to 2009.